Sydney-based Milan Ring is a producer, writer, rapper, singer, multi-instrumentalist, guitarist, mixing & mastering engineer all in one. As premiered via triple j's Good Nights on Wednesday, 'Green Light' is the final release in her string of mood-based singles this year, following on from her last single 'Drifting', and her debut Sydney launch selling out a week in advance. 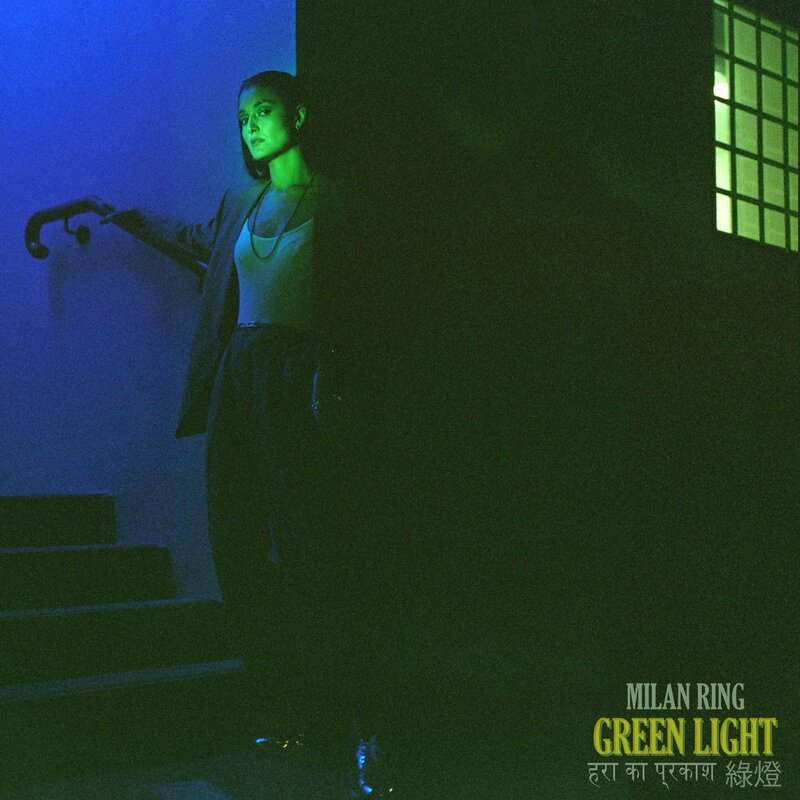 Co-produced by Sydney artist BLESSED (producer for Manu Crooks, Anfa Rose), 'Green Light' is a gorgeous demonstration of Milan's signature sound - a carefully orchestrated balance between the analogue and digital worlds. The cover art features a nod to her Chinese, Indian, and Australian heritage, embedding the song title in Hindi, Cantonese and English. "As soon as BLESSED and I jammed out this beat, I had this whole movie play out in my head. This flash of Quentin Tarantino’s Death Proof came across my mind and I saw this strong confident woman who knows exactly who she is and what she wants taking charge and control. The last couple years has seen her in the studio with artists such as DRAM, The Social Experiment (aka Chance The Rapper's band), and Cosmo's Midnight. This year has cemented Milan Ring's place as an artist to watch - being hand picked by triple j unearthed to represent them at APRA AMCOS' 50 Songs in 5 Days writing camp, touring as the national support for Masego and Hermitude, and set for a string of festival appearances over Summer at Lost Paradise, Pitch Music & Arts, and Grampians. 'Green Light' is released independently through her own label MXMAY, distributed worldwide by Kobalt AWAL. We're pumping it through our speakers - Stream it here!